Assuming you’ve purchased your first property and, hopefully, plan to expand your portfolio further as the opportunity arises, you’ll need several infrastructure components in place to allow you to successfully and efficiently manage it in Japan. 1. Bank transfer fees are quite expensive in Japan – a monthly rental deposit into your nominated account will typically cost between 300-750 JPY, depending on whether you and your property manager use the same bank or not. In cases of smaller, cheaper units, which generate a net return as low as 20,000 JPY per month at times, this can translate into a significant reduction in yield. However, if the same property manager deposits rent for all properties under their management once a month, this single fee gets distributed between all units, and becomes negligible. If it doesn’t look like you’re going to buy any more properties in the same area in the foreseeable future (because attractive deals there are rare or far between, or your budget is limited), it will be wise to ask the property manager to hold on to the rental income for three months, to avoid the above-mentioned bank transfer fee from eating too much into your returns. 2. A property manager who manages more than one property on a client’s behalf naturally works harder and better, as they have more to lose if you take your business elsewhere. Additionally, they will learn “how you do things” after a while, and will be able to adjust accordingly. For example, they will know that, as opposed to smaller, less professional investors, you may not be as accepting and forgiving about over-priced maintenance and repair quotes – and will automatically search harder, provide two quotes for every job beyond a certain size, etc. They will also learn, for instance, to meet a vacating tenant one week prior to their leaving the property, to check on the general condition in advance, and provide the tenant with enough time and advance notice for any repairs or serious cleaning items they’re responsible for – rather than only check on the last day, just before receiving the keys, and then start chasing the disappearing tenant for any such bills retroactively – as most Japanese property managers tend to do. Price – Generally speaking, property managers charge between 2-5% (plus tax) of the gross rental income, and do not charge when the unit is vacant. Placement and advertising fee for a new tenancy is normally the first 1-2 months of rental income. Companies that charge 2% will charge 2 months placement fee automatically, and as a rule do not tend to be very good at their jobs – meaning, they do not screen tenants well, and do not bother much with any serious management communication with landlords, etc – so it is advisable to steer clear of them. Larger cities have larger property management offices pools, and so it is more likely to be able to find a good company at 3-4%. (There are also companies that charge more than that, but really do not offer any added value aside from national coverage, which isn’t really required, as it’s best to stay local in any case – smaller, local agencies tend to know their markets better than franchise conglomerate types). If your property manager finds it difficult to find a new tenant once an existing one leaves, due to competition by other comparable vacant units in the area, they will usually offer to cooperate with other property managers, and offer them an additional placement fee in exchange for their services, if they end up locating a suitable tenant – in which case the advertising and placement fee will go from 1 to 2 months. Other creative solutions can be to offer the first month rent-free, to put in some small items of furniture or electric devices such as a washing machine, TV, microwave oven, etc – or simply to reduce the rent. There are also other tenant databases to access, such as government supported welfare recipients or foreign students – but these are far less preferable and should be avoided unless the property manager is very well acquainted and experienced with those types of population in the area (they will let you know if this is the case). Assuming you have purchased units in a condominium block, or the entire block, you will require an interior insurance policy to cover any damages to the interior of the unit (building maintenance and repairs should be covered by the owner of the block in case of single ownership, or by the building management company’s accumulated funds pool, collected from all individual owners over the years). Interior unit insurance is very affordable in Japan, and comes up to only a few hundred yens per month (the equivalent of just a few US dollars). Coverage varies, as explained previously in our Q & A section – here, too, it is highly advisable to work with the same, regular insurance company for all of the properties in your portfolio. Once ownership changes on any particular property which is managed by a building management company (in the case of individual unit owners in the same block of units), you will need to notify the management company of the new owners’ contact details – they, in turn, will provide you with their bank account information for the purpose of depositing monthly fees (make sure to sign up for automatic withdrawals, which are free of charge), and will begin forwarding meeting summaries once or twice a year, to notify you of any planned or performed maintenance and repairs, changes in fees, one-time charges for emergency repairs, etc. If you’ve followed our due diligence advice prior to purchasing, these price hikes will hopefully be minimised. Important Note – In some buildings, where there are no individual meters per unit, monthly set water or heating fees are sometimes charged by the building management company. Your tenant will normally be paying these fees on their own, but the building management company may request you to pay in case the unit is vacant. Although this is a building regulation, there is no particular legislation obliging you to do so – don’t be shy to object and complain if this is the case – you will often find that the charge is cancelled if you “make enough noise” about it. Being a foreigner who may not be living in Japan, you will need to notify the relevant government authorities of your purchase, for the purpose of tax statements and official notifications. As mentioned in the first article in this series, you will require a Japanese postal address and contact number for this purpose – make sure not to skip this notification, as failure to pay your taxes may result in foreclosure of your property! Aside from tax authorities, the Central Bank of Japan (BOJ) also needs to be informed of any foreign purchase of Japanese real estate and, while they do not seem too fazed by a failure to report as tax authorities do, it is the law, so make sure you (or your representative) do this. 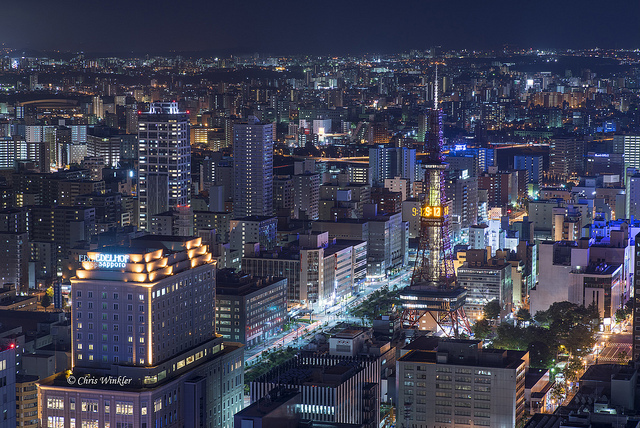 One of the best things about Japanese property investment, as opposed to many other countries, is that all purchase expenses can be deducted from your annual income, with the losses carried forward. What this means in practice is tens of thousands, if not millions of yens saved on taxes for years and years to come (in fact, many investors often sell and buy new properties for their portfolio when this claiming cycle ends, in order to minimise their taxes practically forever). The caveat, however, is that you will require a Japanese accountant to submit these claims – and the purchase and intent to claim must be declared in the financial year after the purchase has been made – or the right to claim may be irrevocably lost! 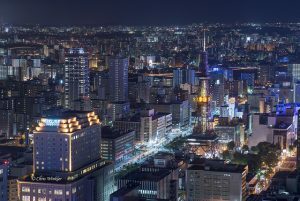 You will want an accountant who is experienced in both property investments as well as one who has foreign clientele – fortunately, this area, similar to legal advice, is one area in which there are plenty of internationally inclined, English-speaking representatives even in Japan – mostly in Tokyo and Osaka – as a simple google search will reveal. Don’t be shy to shop around and negotiate for the best deal. Tune in next time, as we get into the nitty gritty details of deal analysis, and discuss where and what to buy – as well as other location-specific purchase criteria. Share the post "Investing in Japan Real Estate for Foreigners – Part 5 – Portfolio Management"